Congress has designated only one college campus in the country as a National Historic Site: Tuskegee. Tuskegee Normal and Industrial Institute was founded in 1881 by Booker T. Washington, an educator and former slave who became one of the most influential African American leaders in the United States. The institute later became Tuskegee University. 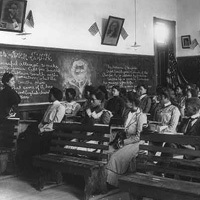 In the beginning, the school was chartered by the state of Alabama to train African American men and women in teaching, agriculture, and industrial trades. At the invitation of Booker T. Washington, famed botanist George Washington Carver came to Tuskegee in 1896 to head the agriculture department. It was there that Carver developed his method of crop rotation to conserve nutrients in the soil. He also discovered hundreds of new uses for the peanut and sweet potato. In the 1920s, the school expanded its mission and offered its students a liberal arts education.